Thank you for your call to my office earlier. I am sorry that I can’t be with you for your public meeting but I have to be in the Commons for votes on Wednesday evening. I remain opposed to the development of greenfield and greenbelt sites across my constituency. This is not just an approach pertaining to towns and villages in my constituency, I say this from a broader policy position of believing that new homes should be built on available urban brownfield sites before rural green land. On the specifics of this individual site I fail to see how the application meets any circumstance, exceptional or otherwise, that would make building in the greenbelt appropriate. As such I support the objections of your action group, local residents and Councillors Procter, Robinson and Stephenson who, like me, are opposed to this application for inappropriate development in the greenbelt. Nick Lane Fox and his fellow landowners have now applied formally to build on Bardsey greenbelt farmland. We have until March 17th to object. 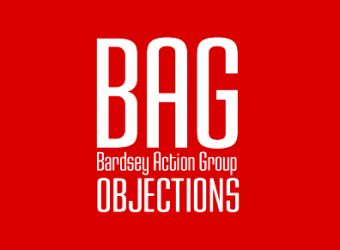 Bardsey’s “Very Special Circumstances” are the physical, social and other values we share that will be irreparably damaged if this application is approved. We now know why and how the Estate will try to ignore the planning policies and guidelines that protect our village and its precious greenbelt. Why? Because the Estate knows that planning permission will be refused unless it can demonstrate that development is the only way of preserving its “threatened” historical assets. 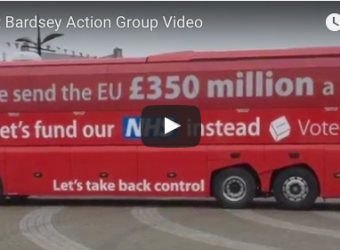 Using a steamrolling loophole known as “Very Special Circumstances” would put aside all other considerations for so called “benefit of the public”. How? 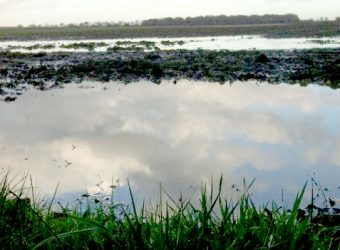 By employing consultants costing tens of thousands of pounds to claim that the damage to the village and the wider public interest can be avoided, and that the Estate has exhausted all other means of raising millions of pounds to pay for the “urgent” repairs that will rectify decades of decay to its buildings and monuments. 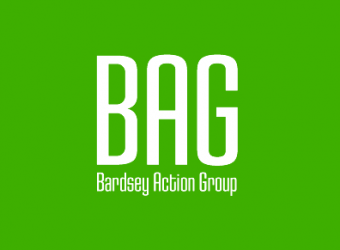 Bardsey Action Group is fighting hard to expose the shameful subterfuge that ignores Bardsey’s “Very Special Circumstances” that really matter to our village, and places the “family values” of the Lane Fox’s above our community values. Time is running out – please act now, tell your friends and neighbours, support our campaign to protect Bardsey’s Very Special Circumstances. 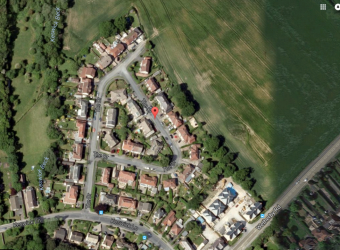 The Harrogate Advertiser reported yesterday on the building of homes on the green belt. Our own Kevin Kelly was quoted on the article. See the full story here. 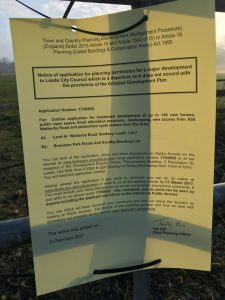 Planning Notices have appeared in Bardsey Village with details of the proposal if you want to object to this please login below. To set up an account you can either click on the link on the Facebook page, on the BAG website or Twitter page or click below. You need to set up an account (easy to do) and confirm it via email, then file your objection. 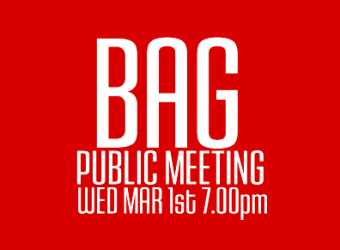 If you want to email BAG with your objection, we would be happy to put it on the site with or without your name. 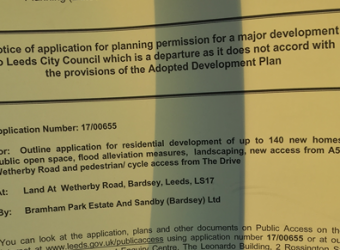 A small cul-de- sac that is threatened by the creation of access to the new development, it cannot support further numbers. Why should the estate grab money in this way. Look at the Harewood estate as an example of how to create funds.